May & June was searching for a solution to shorten the application development cycle. Using the FOEX Plugin Framework helped with fast prototyping based on the client’s requirements. With FOEX, the company was able to decrease costs and development time, enabling them to work with the same customer for 5+ years. May & June is a South Korean company specialized in providing risk consulting and system implementation services for financial institutions and trading companies, focusing on Basel II compliant market risk and Energy Trading and Risk Management area. Established in 2003, the company worked on various topics in risk management such as risk strategy, policy setting, control implementation and system implementation. 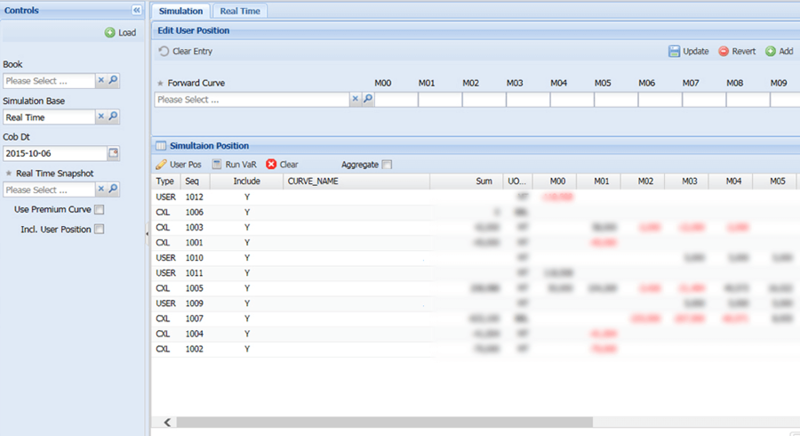 May & June developed a risk management software for trading companies which collects all the trade data, calculates possible losses and warns risk managers if they have too large exposure. 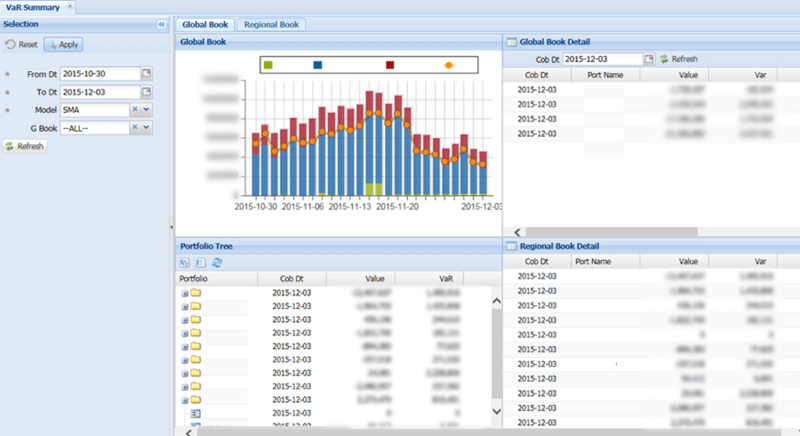 These detailed reports are then used by traders to adjust positions. 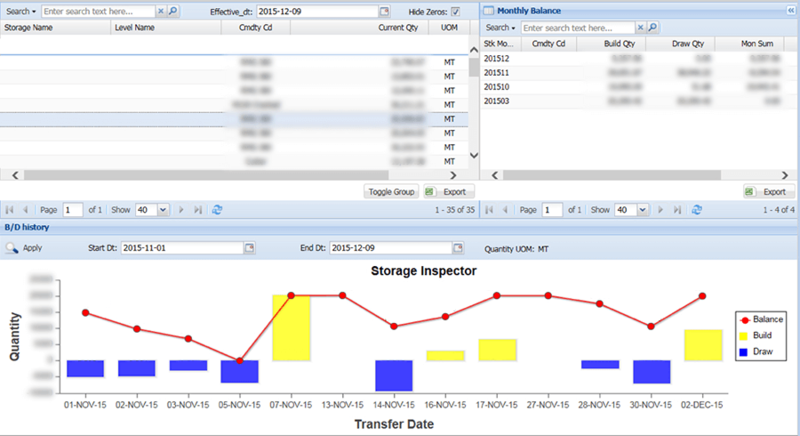 In addition, this software has to communicate with other systems (Oracle & MS SQL databases, SAP, trading applications etc.) that are used within the company. As these reports are generated on a daily basis, any issues that might occur within a report would have to be fixed within just a few hours. The typical approach to solving such issues involved discussing with a team comprising of end users, business consultants, logic consultants, web designers and developers. This was slow and made it difficult to manage the development process, as errors might occur dueto incorrect business logic, improper data processing, inaccurate calculation or a simple typo in the applications code. Therefore, even minor errors could require considerable time and resources to fix. Another challenge that May & June’s developers had to overcome was gathering clear customer requirements. Often times the risk managers and traders would wait until an application’s page was developed and then start requiring modifications, or request new features and functionality too late in the development stage. The team needed an agile method through which their developers could show a prototype early in the development stage and gather user feedback as quickly as possible, then work in short iterations to reach customer approval. As the business continued to grow and together with it the complexity of each new project, the company began the search for a tool that could enhance the functionality of APEX in order to satisfy their new customers’ requirements. Since building vanilla APEX apps was not a solution accepted by their customers, May & June considered using Ext JS and developing their own extensions in-house. 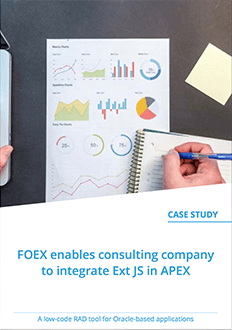 While researching for ways on how to extend the functionality of APEX with Ext JS, the company’s developers came across the FOEX Plugin Framework and decided to evaluate the tool’s potential. During their evaluation period the development team discovered just how easy and fast it was to build proof of concept applications with FOEX and also how quickly questions were being answered by the support team. 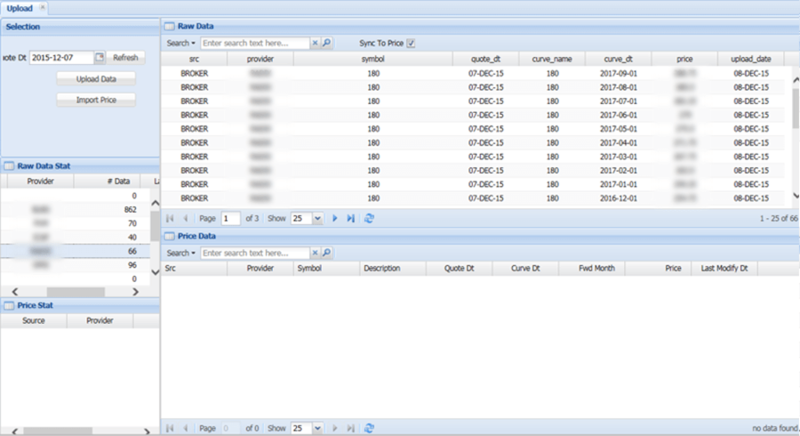 The Tree Grid was one of the most useful FOEX components they’ve found, because it enabled them to build hierarchical drill-down reports, a feature requested frequently by their customers. With a successful free trial completed, May & June decided to purchase the FOEX Plugin Framework and began to integrate it into their current projects. This allowed them to reduce the software development cycle overall and customise the system based on the requirements from each individual customer. The custom themes provided within the FOEX Plugin Framework also enabled the company to provide customized application UIs for the different systems that the customer is using. Developer productivity also improved and the team was able to deliver full reports on a daily basis, instead of spending weeks building each one.